The house earlier today. Picture by Jason Hedges. A 13-month-old girl has been flown to hospital in Glasgow, a 35-year-old man was taken by road ambulance to Aberdeen Royal Infirmary and a 31-year-old woman is also expected to be transferred there later today. All three were initially taken to Dr Gray’s Hospital in Elgin. The fire was reported at around 3.45am today. It happened at a house in Macdonald Drive. 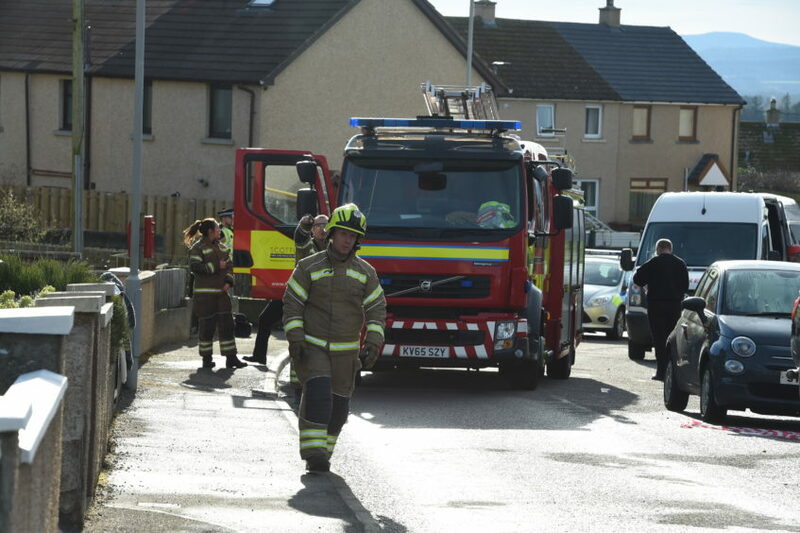 The occupants of a neighbouring property were evacuated as a precaution. 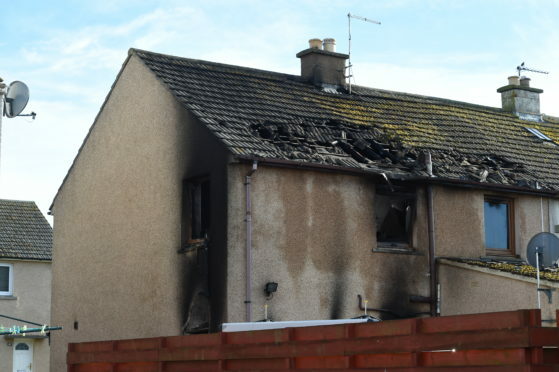 Detective Inspector Norman Stevenson said: “Our inquiries are at an early stage in establishing what caused the fire. “A joint investigation by ourselves and the fire service is due to take place today, following a structural survey. “The three occupants of the house are all in a serious condition and our thoughts are with them and their family at this time. “MacDonald Drive between St Margarets Crescent and Rinnes Drive is currently closed to allow access for emergency services vehicles.